Now is the time to commit to the journey to evolve into a next-generation internal audit function. While this journey will be prolonged and marked with steep challenges, it is absolutely imperative given the intensifying nature of the digital transformation underway in the rest of the organization and the overall market. 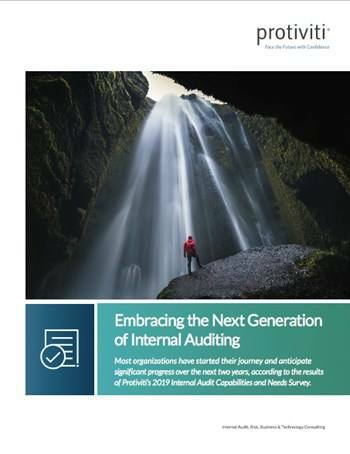 The results of the 2019 Internal Audit Capabilities and Needs Survey, in which Protiviti takes an in-depth look at the adoption of next-generation internal audit competencies such as agile auditing, artificial intelligence (AI), machine learning (ML), robotic process automation (RPA) and continuous monitoring, among many others, provide a detailed assessment of how internal audit groups are progressing on their next-generation journeys.